The Sure Shot 510 U Just portable unit is perfect for home and school use. 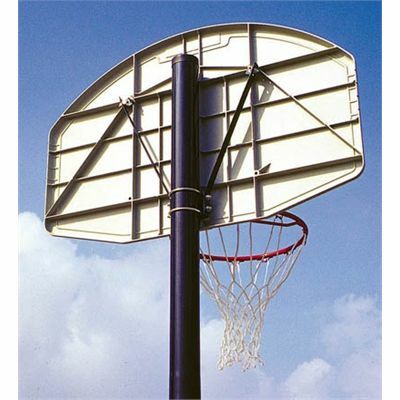 Its durable fan shaped polypropylene backboard measuring 44” (112cm) by 28” (71cm) is fitted with an 18” steel ring with a net and connected to a heavy duty pole. 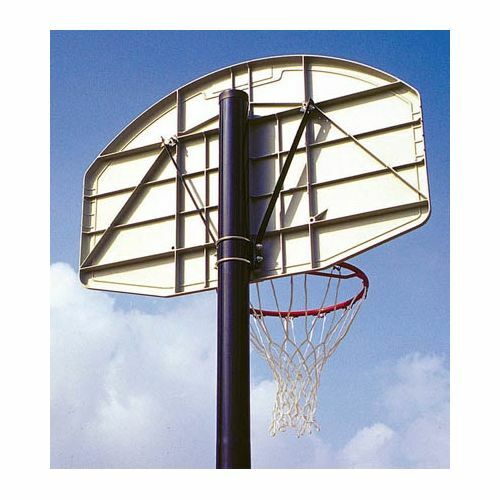 The unit features two U-shaped bolts that attach the board and the ring to the pole and allow for any height adjustment up to the official 10’ (3.05m). A mobile base of the unit has to be filled with 190kg (418lbs) of dry sand or 110 litres (24.2gal) of water for enhanced stability. 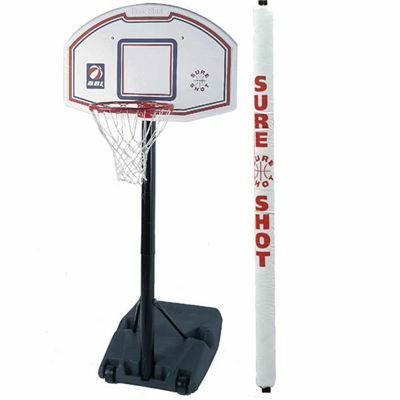 Additionally, the unit is supplied with pole padding that protects the players in case of any impact with the pole. 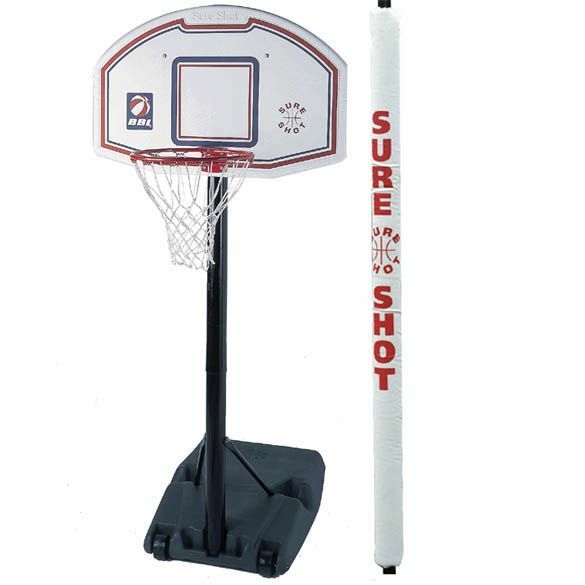 for submitting product review about Sure Shot 510 U Just Portable with pole padding.